About Laura B. 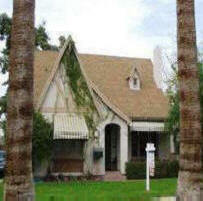 Historic, Downtown and Central Phoenix, AZ Real Estate Agent. 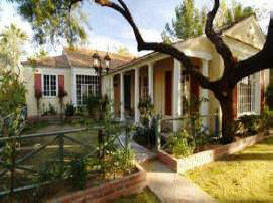 Downtown Phoenix Historic Homes Real Estate Agent Laura B. Originally from Chicago, Illinois and prior to becoming an Arizona Real Estate Agent, Laura Boyajian, a.k.a. 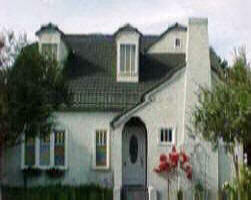 Laura B., moved to Phoenix, AZ in 1983 and settled in her first home in Arcadia which she still owns today. She became a News Reporter and Radio Disc Jockey throughout the country after an exhilarating and dynamic career in the music industry where she was a female drummer and a stand-up percussionist, writer and vocalist. Performing live and recording with and for nationally renowned artists like Stevie Wonder, Angela Bofill, Quincy Jones and Melba Moore, she decided to finish college and pursue her another dream career in Journalism. After obtaining a Bachelor’s Degree from Arizona State University in Broadcast Journalism from the Walter Cronkite School of Journalism and Telecommunications, her on-air career originated in Phoenix, AZ, leading her to Columbus, Ohio, Atlanta, Georgia and then back to Phoenix with stations including KFYI, KUPD, KZON, 99.7 The Blitz in Columbus, OH, WGST & Z93 in Atlanta and then back to Phoenix where she has been a resident and investing in Phoenix, AZ real estate, currently residing in a Historic Home in North Encanto Historic District. As a morning drive award-winning News Reporter and radio co-anchor, Laura B. covered morning drive, daily leading stories heavy in national politics, investigative reporting, national and historic criminal trials, 1996 Olympic games and much more. Her stories have been aired around the globe on CBS and ABC World News. Many of her written stories were also published on world newswires such as AP and Reuters. Also a die-hard Chicago Cubs fan, Laura B. has had the privilege of having years of mentoring by Hall-of-Fame Announcers such as Jack Brickhouse, Lou Boudreau, Milo Hamilton, Harry Caray and Vince Lloyd. She has also had the honor of two personal one-on-one meetings and newscasts with Walter Cronkite early in her career. Being extremely well-connected, well networked and well-known in the Valley, Laura Boyajian has quickly become one of the most prominent Real Estate Agents in Phoenix and is a multi-million dollar producer representing both Buyers and Sellers! She specializes in downtown Historic Phoenix Single-Family Homes, Lofts, Condominiums, Foreclosures, Short Sales, New Builds and Multi-Family properties. She also works in Scottsdale, Paradise Valley and surrounding suburbs. Her clients consist of people from all walks of life & professions including but not nearly limited to Physicians, Professional Athletes, Attorneys, members of many police and law enforcement agencies, News Reporters, Musicians, Actors, Directors, Producers, Published Authors and more with the highest implementation of the utmost of discretion. Laura B. is also a Certified Life Coach with Bob Proctor and LifeSuccess Productions, Inc. She does one-on-one life coaching and is also available for small, medium and large group coaching. She has been public speaking for more than two decades and is available for any number of topics for public speaking. If you would like to speak to your group, small or large, just call her directly at 602.400.0008. As a multi-property owner herself, Laura B. also is an expert with loan consulting, credit cleaning, financing and multiple property investing. With a good old fashioned work ethic, Laura B. does not leave one stone unturned when it comes to helping you buy, sell or invest in a Historic Phoenix or surrounding Phoenix area property. Whether it's a primary residence, second home or an investment property, Laura B. has done it herself and can help you do it too! She also specializes in helping others with questionable or challenging credit qualify for financing and gives free credit-cleaning consultation, if and when necessary. Don't forget to ask her about the TRULY AMAZING first-time home buyers programs she's closely affiliated with! Whether you're buying, selling or investing in Phoenix or the Phoenix area in Real Estate, if you're looking for an honest, hard-working agent who will have YOUR best interest in representation at heart, call Laura B. directly today at 602.400.0008. You WILL NOT be disappointed. Also read, "What You Can Expect From Laura B." Choosing a perfect Phoenix real estate agent is one of the most important decisions you will need to make. The purpose of Laura B. and Wise Choice properties is to prove as the best Phoenix Real Estate Agents to take care of ALL your real estate needs. If you want to work with a professional, experienced Phoenix real estate agent, please contact Laura B. today. 2005 - 2014© Copyright historiccentralphoenix. All rights reserved.